A workshop for yoga teachers, students interested in teaching yoga, and those who teach movement-based disciplines or provide social services. Coping with post-traumatic stress disorder (PTSD) is a challenge which many people face. 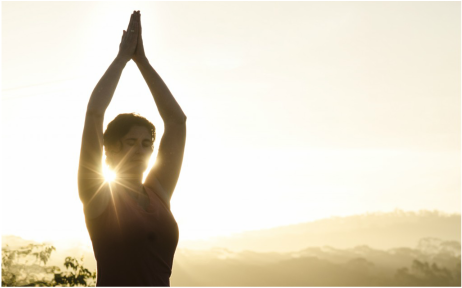 Whether a survivor of abuse or veteran of war, Trauma-Sensitive Yoga can lessen symptoms of PTSD. Join us for a panel presentation on ways to approach teaching trauma-informed yoga and movement. Students also participate in hands-on learning during this workshop by analyzing case studies from which to design a trauma-sensitive yoga or movement class. This workshop focuses on teaching methodology. It is not a therapuetic session for trauma-related experiences. Registration includes optional four-class series in Tao Yoga & Meditation on Monday nights 7-8 PM. ​Currently, there are 2 spaces available. JoeFitzgerald, LCSW, is a psychotherapist, in practice for over 35 years, specializing in the treatment of trauma and its devastating effects on the mind, heart and soul. He is a certified EMDR therapist and has trained in many therapy modalities including: gestalt therapy, hypnotherapy, emotional release and traditional psychodynamic psychotherapies. Joe offers a Qi Gong class for trauma survivors, bringing together his unique skills as a psychotherapist and as a Qi Gong practitioner. A certified instructor, Joe has trained with Jeff Primack, and more recently, Robert Peng, an internationally recognized Qi Gong master. Laurie Edwards, Psy.D., is passionate about supporting individuals in discovering their inner wisdom. Trained in Cognitive Behavioral, Existential, Humanistic, and Psychodynamic practices, she has also studied Taoist and Buddhist perspectives on wellbeing. Currently, Laurie is working towards certification as a yoga therapist and serves as a psychologist on the faculty of Yale University. She obtained her doctoral degree at the California Institute of Integral Studies and also has her own private practice in Branford CT. She is also a certified yoga instructor and teaches at Yoga on Whitney in Hamden, CT.
Christine Ucich, M.Ed., is a teacher with 15 years experience of offering art and yoga instruction to at-risk populations of students in the public schools. As a Taoist yoga instructor, she also leads meditation and breathwork as transformative processes for healing of both the body and mind. She is dedicated to promoting yoga's potential as a psychotherapuetic tool and believes improving one's mental health can be accomplished solely through body-centered practice.